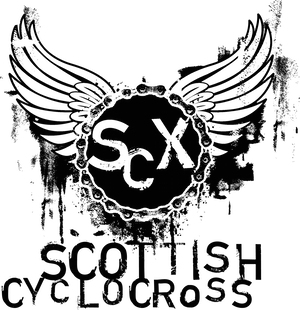 Glasgow Mountain Bike Club have been in touch with info on next Sunday's cyclocross at Mugdock Country Park. It'd been on the calendar for as long as I can remember and is a perennial favourite. Please get to sign-on in plenty of time. Sign-on will close promptly 20 minutes before each race start time. This is to enable full start sheets to be passed to the commissarie and PA announcer. Unfortunately there is no pre-entry for this race so please give yourself plenty of time to sign-on! Course open for practice for U12 from 9.15am to 9.50am. There is car parking at the visitor centre, which will probably fill up quickly. There is also the Khyber and Mugdock East car parks which are both within a few minutes ride of the course. The visitor centre is right beside the start/finish area and will be serving the usual tasty grub. Sorry for any confusion, but you won't need to fill out a day licence form. Only mark a D on the sign on sheet under 'membership no.' and pay the additional day licence fee. Please note, those aged under 18 will require a parent to sign on for them unless they already have a BCF membership which a parent has already given consent for.